Beautiful Memorabilia for soccer fans, soccer jersey and ball constructed with flag and poll information for the countries who have qualified for main round of the 2018 World Cup. 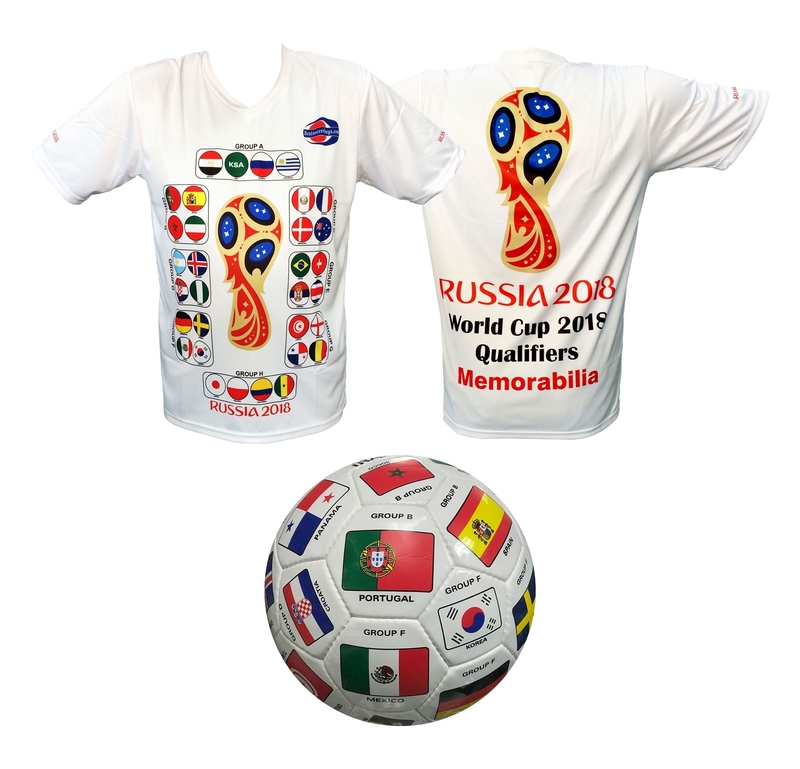 Great gift for soccer lovers. Cool Max breathable Cozy Shirt. in this batch of jerseys Colombia is misspelled as Columbia, Colombian Soccer fans we apologize for the issue and as we replenish our inventory the issue will be addressed.